This process requires an existing 2FA-enabled GitHub account. Login to your GitHub account then go to your Profile Settings. 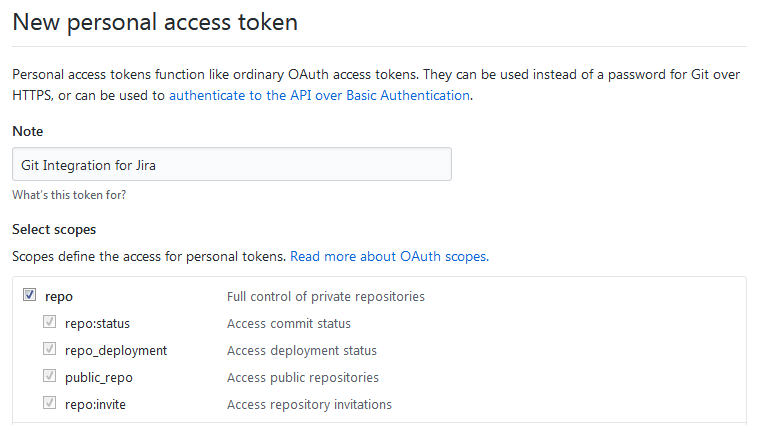 Under Developer settings click Personal access tokens. Generate a new personal access token (PAT). Select the "repo" and selecting all three scopes under it. Go to Manage Git Repositories (Dashboard > Git menu) in Jira Cloud/Server. Click Connect to Git Repository. Enter the URL to your GitHub repository. Enter username in the provided fields. Paste the PAT as your password. Follow instructions on the connect wizard and complete the process. For more details, proceed to this page.